Speak to someone live Monday through Friday 6:00 a.m. to 6:00 p.m. Call our Youth Development Center at 1-413-739-6955. The Y’s focus is on youth development, healthy living, and social responsibility. At the YMCA of Greater Springfield, the goal of our child development programs is to nurture young people by providing a safe place to learn foundational skills, develop healthy, trusting relationships, and build self-confidence. Our before and after school programs follow the State of Massachusetts requirements and regulations for child care and education programs. In addition to meeting the state’s expectations, we also collaborate with many local and state organizations to offer the highest quality enrichment experience for your child. 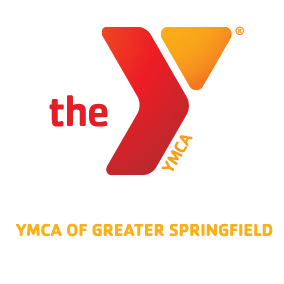 The YMCA of Greater Springfield provides a safe, fun environment for children to continue learning and developing during out-of-school periods. During Before-School programs, the YMCA provides a safe environment for children from 6:00am until the start of the school day. Breakfast is provided and children can choose from a variety of activities. During After-School programs, we provide snack and homework assistance. We also provide age appropriate activities each day, including sports, outdoor play, arts and crafts, science, cooking, story time, and much more. This program begins at the end of the full school day and runs until 6:00pm. We offer care in Springfield, Chicopee, Hampden and Wilbraham. 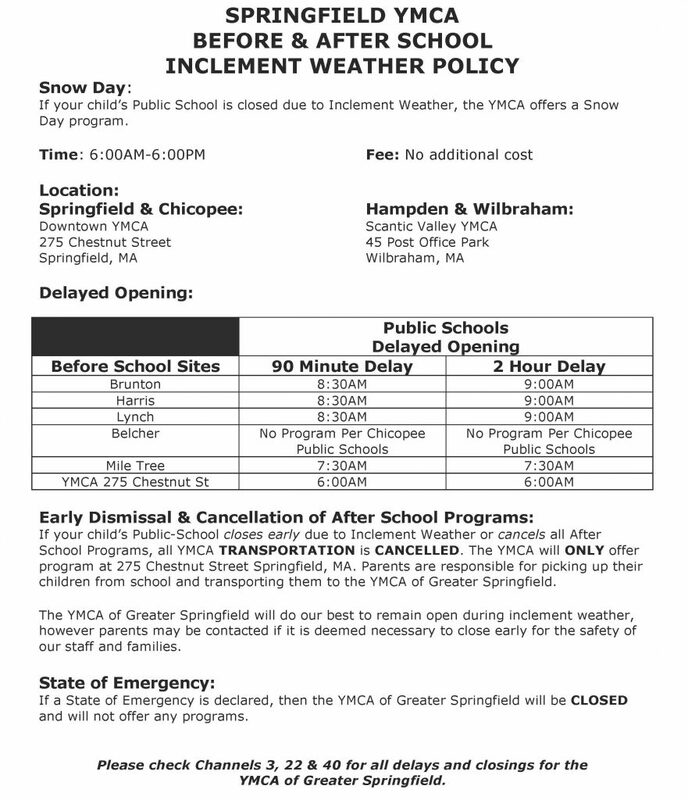 For specific information regarding our School Based or Center Based Programs in these areas, please call the YMCA Youth Desk at (413)-739-6955 (Springfield) or (413)-596-2749 (Scantic). Registration is accepted on a first come, first served basis. Space is limited. Completed registration forms and an initial fee of one week’s tuition is due to register. Optional full day programs are available during school vacation weeks and teacher in-service days. Participants must sign up in advance for in-service or vacation days even if it is the child’s regularly scheduled day. Flyers will be distributed to each School’s Out site prior to the program date. Participants must bring their own lunch and a healthy snack will be provided. Please note a program will not be available on school holidays. Scholarship assistance is available for qualifying families. Please contact the Administrator at 413.206.5709 for information. Families enrolled in School’s Out can join a YMCA Family Center at a reduced rate. The joiner fee will be waived and the monthly membership fee will be reduced by 50%.